Learn how to create a website for a musical band on WordPress theme. Even if you have never make a website before, you can follow along. Enjoy our step-by-step guide and everything will turn out! Why do You Need to Create a Music Band Website on WordPress? 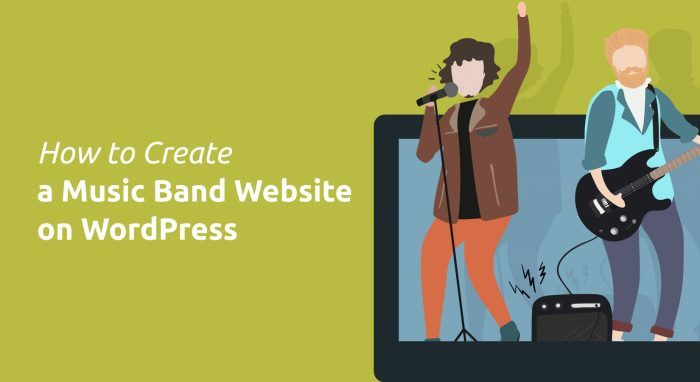 Do You Need to Create a Band Website on WordPress? Regardless of whether your music is a hobby for the weekend, work on a full or part-time, having a website for your group – a good idea. Today, everyone has a website, so your group deserves its home on the Internet. We have created this tutorial to help novice who will surely create a website from scratch quickly and with minimal resources. Hire a web designer or developer to create the site costs a lot of money. A WordPress theme (ready site with the required functionality) in this case is simply the best way. In addition, there are solutions that satisfy all the needs of the musician. Their functionality is designed to make life easier for a musician – is the calendar of concerts, shop for selling music, audio collection. Premium theme by virtue of operative technical support – more interesting solution in comparison with the free theme, the choice of which you will have to contact the developer to make changes, update your calendar, upload new images. Professional technical support (basic premium the benefit) will help all set (there are video tutorials, demos, tips, responsive consultants 24/7/365) to allow the musician to do what he really likes – his music. Of course, if there is a desire to learn and time to create and manage your website, you can choose a theme and free. But we aim to show the reader how to create a site, as a musician, not a developer. Through the website, you present albums, post news and announcements of upcoming concerts. In short, the show yourself and your creativity. And it will be available to your future fans 24 hours a day. The site will be the best assistant in the promotion of your talents. This business card, and audio collection, and store and blog, and the announcement of the upcoming concerts, which is easy to show photos in a video format. On the website, you can evaluate performance, to comment on the events, concerts to celebrate the place on the map. So, it was decided – you’re doing a site and, therefore, proceed to the next stage of creative development. Naturally, you want to expand the audience of listeners and perhaps gain worldwide fame. Great idea! You have never created a website, do not have web design skills, you have no experience in programming and limited budget? We’ll show you how to buy a domain name (your address on the Internet), hosting, choose a theme, install WordPress, add news, photo gallery, download music, create your own store to sell goods. We show you what to do and how. More than a third of all websites in the world is created by WordPress. Among the sites using a content management system (CMS), WordPress share exceeded 60% according to the W3techs. Why such a high rate? To create a band website on WordPress you do not need to be a web designer (you will be offered subject to your needs), and thanks to the intuitive interface and the control panel does not need to know how to code. And most importantly – it’s free. Or almost free. Starting $50, you pay more for the domain (name) and hosting (the house of your site). As you have seen, WordPress – it is the name of the CMS or on a professional language “engine”. “Engine” – a Content Management System (CMS), or system of organizing, editing and content management of the site. CMS designed to simplify content management, to the construction site to make a simple and clear: the user by means of pre-made themes can make your own website. CMS are both free and paid. Pay CMS are usually specialized companies with complex business process chain: large Internet shops, warehouses, manufacturing organizations with complex functionality to solve non-standard problems. Free CMS versatile and flexible. They can be further developed on your own, using the settings. WordPress takes the lion’s share of the global market for CMS. This system, people rightly given more preference. The main advantage of WordPress – easy to install and easy setup. WordPress sites are well indexed by search engines, meta tags and SEO-parameters are easy to prescribe, the default URL-address takes the form NC, sitemap is generated automatically (using a plugin). NC – human-friendly URL. This URL, allows site visitors to get information before the page loads. In order to solve a variety of tasks using WordPress to 55-60 thousands of plugins ready. For example, Joomla, which occupies the second position, can not boast the same clarity in managing the site. For WordPress there are new themes, easy to find add-ons and plugins. WordPress code, plugins and themes open that allows you to make changes to the work site. WordPress features allow you to create a flexible, user-friendly site for visitors. If wisely used WordPress resources, you can create a powerful functional site that is not in no way inferior to paid counterparts, and maybe even surpasses them in the design. For example, the platform used by Beyonce, Katy Perry, Snoop Dogg, and many others. Website – this is your space, your face, he is responsible for the way you look in the eyes of your fans. The first step in creating your own website is the choice of host. Hosting – is the server that stores the contents of the site. Take a look at our guide on how to choose a hosting. the ability to make backups. The server, which is a lot of sites. They work on a standard software (PHP, web server, database). They are small sites that do not take up much space and are not very demanding. You can install any software and applications. The server allows you to use the required amount of space according to the tariff. Several VPS-servers can be stored on a single physical server. A separate server in the data center for self-management with the ability to install any operating system. Suitable large holdings with multiple sites and a strict hierarchy between them. Using multiple servers, so that the load on the resources provided by the automatically adjusted depending on the wattage. In this case, the customer pays only for the resources used. Given that the minimum amount for the musical themes – 100 MB, shared hosting is quite suitable for the storage of this site in the early stages. But if you are planning to expand and gain more freedom in managing the system, then a good choice is VPS-server or cloud hosting. When choosing a hosting provider, you need to consider his reputation. Pay attention to the company’s experience, the availability of the data center, a license for hosting services. 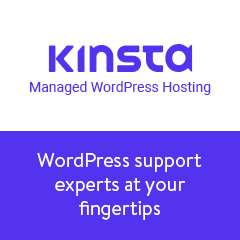 Learn how to choose the best hosting for WordPress website. With great attention should be approached to what name you choose for your site. It is desirable that it was concise, reflecting the name of your group and had a popular extension, such as .org, .io, .music. And if the name of your group is unique, and in the .com zone can be registered. Check the availability of the name using WHOIS services and take the time to choose the name for your website. In Network your site will look, as a rule, by name, so it is important to correctly identify the site and accurately describe their creativity. Brief description of the site called snippet. He appears with the address of the website on the results page of issue. After selecting a hosting provider, the company will send you a letter that will be the information on the selected plan, your username, password and a link to the control panel. You need to click on the link and log in. Download WordPress: Extract zip archive to the root folder server. Create a database in the control panel on the server. It is important to specify in its user MySQL, then you will receive a password. Open a browser and go to the site. Click “Next”, fill in the registration fields. Here you need to enter the names of the received password and the “Database Server” to accept the default localhost. After press “Send”. Give the command “Start the installation” and “Install WordPress”. Today there are many solutions, designed specifically for WordPress. They are designed to simplify the task of creating a consumer site. To do this, there are ready-made models websites – the user can only add important information. You do not need to own the programming languages and other skills. Learn what is a WordPress theme and why it is needed. For all who want to quickly make the site has developed a ready-made model sites and call them “themes”. Thoughtful menu – easy navigation through the site. Thus, using the ready-made premium themes, the user can construct a website. Speaking of toll solutions for WordPress, mind you, they are cheap – averaging $59. At the same time you get the SEO-configured website, broad functionality and flexible navigation. Some of the themes are enclosed individual modules and plug-ins that do not require additional installations. By purchasing a paid theme, you are provided with technical support from six months to a year if there are any difficulties in the work site. Almost all paid themes are now offering a wide range of options for creative professionals. Usability theme settings, quality functionality that is suitable to your business – the undoubted advantage of threads. Consider the examples of original musical WordPress themes. A striking example of this is the optimal combination of theme Pearl Music. Theme is multifunctional. This is new solution, containing the many useful options for creating the site, effectively solve any social and business objectives of different creative groups, singers, entertainers, clubs. Pearl – universal multipurpose business WordPress theme by StylemixThemes. Due to a large number of inspiring demo content, a variety of built-in features and impressive navigation, this new topic interested many website owners. For example, the layout of each micro-niche has its own features: music player, book, PayPal and even Google Maps. And, using the intuitive control panel theme, you can design your site. So, let’s see what is a multipurpose WordPress theme. Advantage: the solution requires no additional configuration – no need to download and install external plugins. You upload the theme, it is ready for operation. Then you create your site in real time. To place an audio player on the site or make a grid tours will no longer need to seek support program. Important! In the presence of advanced technical solutions topic Pearl has plenty of options, settings, pre-engineered to create content. New Opportunities Pearl Music: Limitless? This theme provides an exciting and useful feature – it is a separate unit with a plurality of elements (GridBuilder), applying them, you can make your own section on the site to your liking. For example, you can add your albums and share them on directions: seasonal, theme, genre, by instrument class. GridBuilder – functionality related to the plugin page designer. Click to create a page designer elements. All elements are modeled for a bright and spectacular site and make it possible to create an exciting and unique design to promote your band on the Internet. The history of the music group. For example: the chronological divide it by time, stages of creative development, an interesting story, the performers. At the same time you get a minimalistic design, which does not overload the perception. Block “Music” – the most popular section, which stores all the discography and albums. Compositions from albums are easy to buy by clicking on the icons. The unique advantage of Pearl Music is the convenient built-in HTML5 audio player. Adding music using the Pearl Album Info elements in the page builder – the player automatically appears at the bottom of the screen. In the line above the player, you can enter the name of the song, and on the left – the name of the album. The Video is very flexible: parties / concerts / festivals dedicated to your performances. And on the main page of this block it is recommended to download the most successful, popular clips, but to output a new clip in a large plan. For this, all the necessary functions are provided. Speaking about content, it is necessary to understand that the basic material concerning biography, creative path, history of creation of a group, album, participation in music programs should be better prepared before the release of the site. And in the future to add relevant information to stay in touch with the audience and warm up interest in yourself. Block “Tours” is intended for records of planned concerts and tours. Here you can post information about upcoming events and indicate the venue of the concert, which will be displayed on Google Maps. Here you can distribute tickets for the concert, in addition, in each of the blocks you can install widgets at your discretion, social network buttons. To create an individual design in the subject is available more than 800 Google fonts (the part supports Cyrillic), you can easily customize all the colors of the site. Create a bright and “catchy” slider easily with Slider Revolution, this paid plug-in for creating sliders with impressive effects is included in the topic completely free. Merchato, created with the use of plugin Mosaic WordPress. Design focuses the user on the use of multimedia content. The use of multimedia is provided in the horizontal and vertical parts of the site – it allows you to upload videos to the side and top panels. Users are encouraged to form a news section, a video library, a discography. There is a built-in online-player running with the help of plugin AudioTheme enabled Cue Pro. Cue Pro allows you to get statistics for each track: the number of plays and transactions. Also, visitors to this site can share playlists with your friends and use it on other sites. The theme is compatible with plugin WooCommerce. Due to this, your site is converted to an online store for the sale of audio and video content. Oscillator contains essential units and options to be used solo artists, DJs, musical groups, clubs and radios. Theme performed in an elegant savoir-faire. It integrated music player with streaming, which is especially important to play the tracks in the radio format. It also signed a large number of elements and widgets that allow you to extend the functionality of any page without the need for coding. Oscillator SEO-optimized and has a built-in translator Loco Translate, making it multilingual. Among the variety of interesting and colorful stands out the one-page Tune in a minimalist style. However, by using the installed plugin WP Bakery Page Builder, which incorporates the additional element 34, it is easy to form the appearance of pages. The theme built: online player, slider with the possibility of using video announcements, gallery clips, concert schedule, discography, a translator, a convenient form of contacts. Tune compatible with WooCommerce, it allows you to organize effective sales site. Tune includes 10 different demos. Remix Music & Radio Theme attractive large set of design-ins for creative professionals and supports plugins like: Woocommerce, bbpress, designer pages Drag n Drop Page Builder, Revolution Slider. Bbpress allows you to organize a full-fledged forum and its moderation. By using Drag n Drop Page Builder, you can rebuild the site at its discretion, by dragging and dropping the desired blocks in any area of the screen. Revolution slider is provided for a spectacular demonstration of albums with photos, video selection. Remix contains 17 custom widgets: continuous online player, slideshow, video lightbox (special window for easy viewing of video), photo gallery. Striking example is the versatility musical theme Sonik. It includes: playback mp3, radio with Radio Stream Player c unlimited number of links to streaming media, the organization of radio, information about the current radio show using the widget Now On Air, YouTube, SoundCloud. The theme is also integrated: 14 Visual Composer shortcodes to create original pages of the site and Woocommerce plugin to implement an online store. Sonik developers offer a fresh perspective on design with a choice of gradient background, background parallax effect, adjust sticky menu. Do not make mistakes when choosing a WordPress theme. Consider the availability of the desired functionality, documentation, technical support. It is important to consider the external design of the module site, the presence of the control panel, the flexibility and ease of use and, of course, the cost. In the toolbar, click on “Appearance”> “Themes”> “Add”.Then use the command “Download theme”. After that, you need to find a zip folder containing the theme files and load it. After the installation is completed, click Activate. It is important to import demo content here. The Pearl Music menu appears in the WordPress toolbar. Use it to download thematic pages. In the future, change it according to your needs. Go to the control panel, then go to Pearl -> demo import, select the layout, click “import” and “install”. After installing the Pearl Music theme, you can select the desired layout. choose a color palette. For example, use one of three options or create your own scheme by defining the base, secondary and tertiary colors. change the main language of the site (if your language is not English). All settings are easy to perform thanks to an intuitive control panel. For example, to change the settings of the printing house of your site, go to the menu “Pearl”> “Options”> “Printing”. You can change “Typography parameters” for the main headings, as well as paragraphs, links, blocks, and list. And choose the color solution with the command Pearl > ThemeOptions> Colors. SliderRevolution, LayerSliderWP – to create a flexible module that allows you to insert multi-layer images. The very theme of Pearl Music is accompanied by a video and a detailed description of the steps to download. To organize an online store in the subject Pearl integrated extension WooCommerce. Check out our detailed guide on how to create an online store. The theme has a convenient admin interface, a strict reporting system, functionality for creating catalogs and selling similar products, an integrated template for organizing promotions, implementing loyalty programs, mailing lists and notifications. The Pearl theme has a plugin for adding audio recordings and albums that will appear automatically in the player. Or, through the Elements section, use the Pearl Album Info commands to add a song, and the Pearl Album List buttons to an album. It is important to have a separate unit for the demonstration of upcoming concerts, events, music albums. You can do reviews of past events with photo and video accompaniment through a simple order of actions: Console> Tours> Add New or Console> Events> Add a new one. This is the guarantee of your progress and success in the online space. When a user requests a search engine, he receives a lot of answers to his query, but, as a rule, uses only those that are in the top ten – you have to get all the power into it. Study our detailed guide on how to optimize your WordPress website for search engines. Search engines have requirements, according to which they create a rating of sites. They fix the content of the information in the headings, subtitles and descriptions, estimate the frequency of updating the resource. It is important to have a plan for working with the site and regularly upload unique content. Integrates with the social. networks. To configure these settings, download Yoast from the WordPress console in the “Plugins” section. After installing it, go to the tab “Features” and enable “Advanced settings”. In the “Setup Wizard” on the “tabGeneral“.You can find out our step-by-step Yoast SEO set up instruction. do not let the site grow old! After starting, do not forget to update it regularly, keep it interesting and dynamic, and fans will stay with you. After each step, you got an idea of how to create your band website on WordPress. When игшдвштп any site, there are things that need to be considered – hosting, domain, platform choice. But once you get to the specifics, you need to think about what your audience will expect from the site. For groups, these are playlists, album covers, image galleries, music videos, biography and the ability to buy music. After reading our article, you are already halfway to creating a group site that contains important information about you, will help your fans stay in touch with you on the road and allow people to listen to you, buy music, share it with their friends. Did you manage to make a website? What features did you choose for yourself? Feel free to leave comments on what you think is an important component of the group’s website and what WordPress tools (plugin or theme) have simplified your life. StylemixThemes is a team of WordPress experts since 2001. Power Elite author with 14 jaw-dropping themes on ThemeForest. We simplify your work by a friendly 24/7 support. Multiple Envato awardee. How to Fix 500 Internal Server Error on WordPress Site?